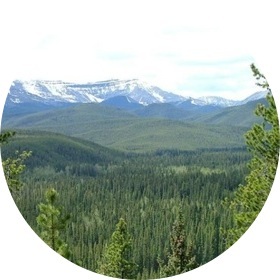 BC Ministry of Forests, Lands and Natural Resource Operations - FTS Inc. The BC Ministry of Forests, Lands and Natural Resource Operations is a provincial government ministry responsible for the sustainable management of diverse forests within the 944,735 km2 western Canadian province. The territory covered by the BC Ministry of Forests, Lands and Natural Resource Operations offers remarkable topographical contrasts and is one of North America’s most mountainous regions. Luscious forests and vegetation on the Pacific coast are separated from the interior by the Coastal Mountains, which rise more than 2,000 meters above sea level. To the east lie the Rocky Mountains, with peaks above 4,000 meters, and in between these majestic ranges lie natural grasslands, vast plains, and rolling upland forests. The climate also varies drastically throughout the province, from the year-round mild and temperate southern coast to the frigid winter temperatures of the north and the interior. The interior also often experiences temperatures above 35°C in the summer months, and forest fires are not uncommon throughout the province. 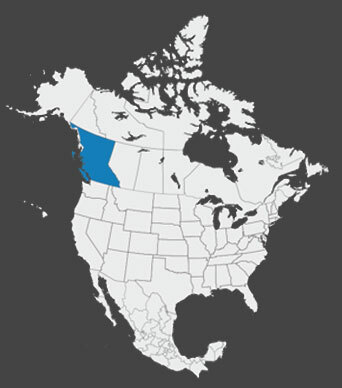 The British Columbia Ministry of Forests, Mines, & Lands has been an FTS customer since 1980. Canada’s largest all-FTS fire weather monitoring network, with a subset of stations contributing data for long-term climate and weather monitoring. This subset of stations are additionally equipped with ultrasonic snow depth, all-season precipitation, and solar radiation sensors to measure water equivalency.